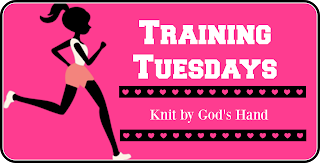 I like to showcase on Training Tuesdays some of my favorite things that makes a difference to me, things I enjoy. Today, I'm going to look at one thing that I really can't go without, especially now that I'm running again. Some of you may be staring at this thinking I've got a weird shaped ironing board, but that right there is my inversion table that I can't live without. When I start getting up in miles in training, the pounding of the pavement, or even worse, my treadmill, gets my low back aching so bad. It gets my sciatica flared up as well, causing pain & tightness down my whole left leg. Not fun. I used to go to the chiropractor that would put me on a traction sort of machine. It was wonderful & I could tell a difference, but you can only do so many treatments on it, plus, it gets pricey to continue those visits so many days a week. I got the one pictured above on Amazon for $199.00 - which in the scheme of things, pays for itself on saving chiropractic visits. Now, I'm not one of those people who hang upside down totally. Ricky can do it. I can't. I get so freaked out that the machine is going to flip all the way over. Even when Ricky is standing there assuring me nothing is moving, I still feel like I'm going to be stuck in this thing as it collapses on my head. But the good thing, I dont even NEED to go that far back. its just about getting that pressure off of the low back for me. So I can take it back to a good 45 degree angle maybe (I was always horrible at Geometry) & I can almost immediately feel my spine straightening right back out. I like to just stay there at that angle since its not so far back that all the blood is rushing to my head, which can be a good thing if you do get SOME blood flowing, but not enough for me to get a headache. I'll just relax, take some good breaths & stay there for about 5-10 minutes a day. When the pain is really bad, I'll get on it a few times a day. It has made a world of difference for me. & even if you don't run, its a great thing if you sit all day. Get that pressure from sitting all day on your back a little relief. 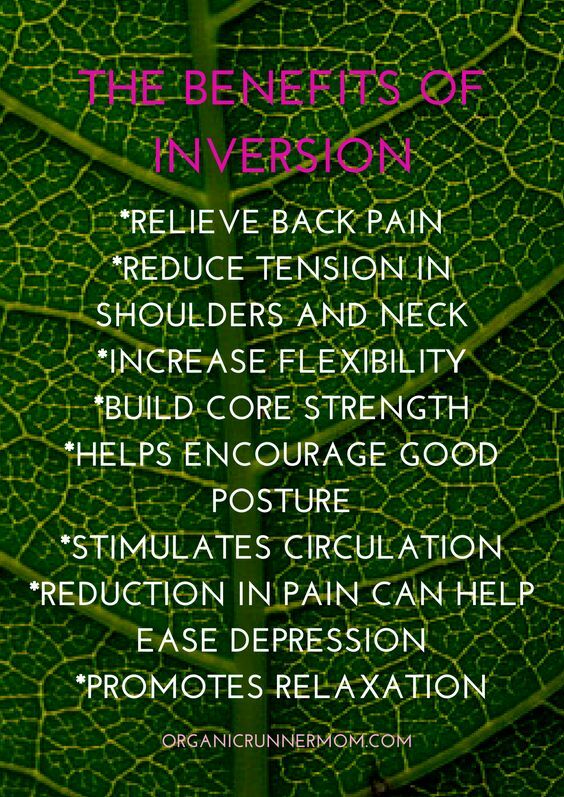 Some of the other benefits from using an inversion table? Have any questions about it - let me know. I had to take a sick day in there in my training. Wednesday, my UTI got the best of me. I never thought that an infection in my bladder could make me feel so bad, but mercy. I felt horrible ALL OVER Wednesday. but before I got home, I felt bad enough to go to the Little Clinic at my grocery store & see if they could help. I couldn't get in with my doctor for 2 weeks & I wasn't about to spend $500 to go to the ER so I thought I'd give this place a try. It really was super nice, & quick & got the job done. The only weird thing - having a UTI, of course they need a urine sample. So they gave me a cup & a brown bag & I had to walk through the grocery & use their bathroom & had to carry my urine back in that bag. Peeing in a cup in the grocery store - check that off the things I'd never thought I'd have to do in life. But they got me hooked up with antibiotics & I was on my way in less then an hour. Success! & just to give The Little Clinic some credit - they called me on Saturday afternoon checking in on me & seeing how I was doing. Who does that? Unfortunately, the symptoms aren't really getting better so they told me to call them in 48 hours if it was still bad & they'd send out another antibiotics prescription. I may never go to my family doctor ever again. But I did feel better to where I could go for my long run this week. Whew! Little Clinic, I thank you! & now, we're heading into week 7 ... & kicking off the Triple Crown of Racing THIS SATURDAY! YAHOO!!!! ... it's all about to get really exciting for the next few weeks! That is really cool that your store has a little clinic. It would make sense if they had a restroom connected to it. I'm sure your not the only one that has gone there that required a visit to the RR. That device is neat and something I may consider for Scott if his back pain persist. 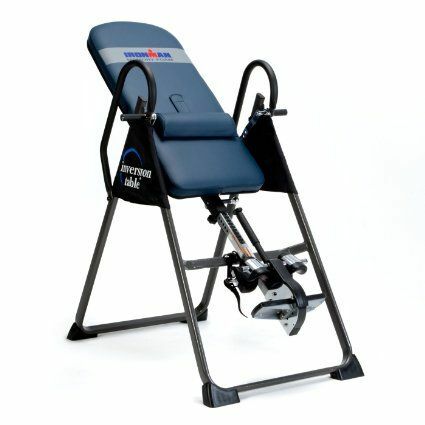 I have never even laid on an inversion table but I really want to try it! I have back issues (especially after I compacted a vertebrae in a car accident a few years ago) and I think it'd really help! My husband has used them and I think they worked for him! Darn that UTI! my ex bro-in-law was a prof football player, and he swears by his to alleviate his pains from all of those years in FB. glad you went to the little clinic! Oh, the inversion table is interesting. I'd kind of heard about them before but didn't really know what the benefits were or how it worked. I'm glad the clinic was so helpful and even called to check on you! I've never heard of an inversion table before! What a great idea. 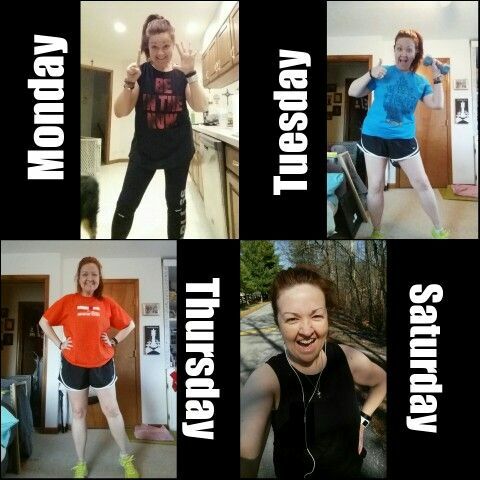 I get lower back pain so maybe I should give it a go sometime :) You're doing amazing with your running. Keep it up! 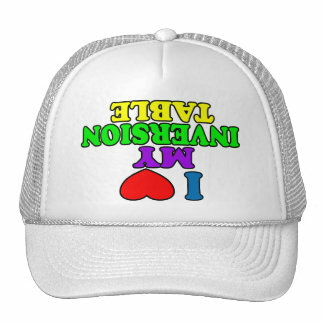 I love that hat. I didn't even know you could buy those! Clearly I need to add it to my amazon wishlist! Two of my friends swear by the inversion table! I might check it out. Thanks for the info! Ha I've always joked that before long Walmart will be your one stop shop where you can come in have your baby, get your groceries and be home all before lunch! Peeing in a cup is always awkward but even more so in the grocery store! So glad they were able to help you out! Uhhh I think I might need an inversion table! Sometimes I'll get in bed to lay down and it just HURTS my lower back to lay down flat, but I don't notice it until then. Maybe that would help! hmm when i went to the little clinic they didn't call me afterwards! they did 'fix' me though so i didn't mind. kroger bathrooms.. ew. lol @ weird shaped ironing board. i don't think i could hang upside down completely either. That's kind of crazy about having to pee at Kroger. Hope you're feeling better! I hate having to pee in a cup, even at the lab - let alone at the grocery! So glad they could help you though! UTIs are the worst. 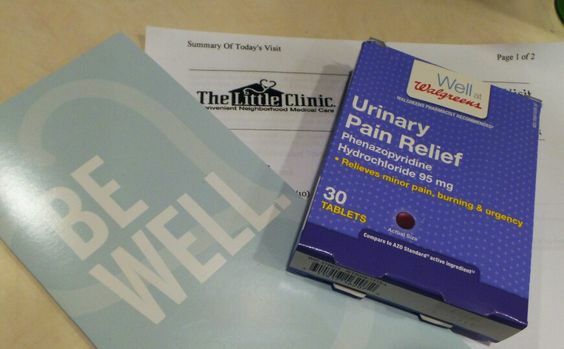 Our Walgreen's and the CVS have those clinics. I've not used one before, but may think of it first next time I'm in need. I'm excited for your run....keep us posted! glad you got some relief, minute clinics are so great. You know...it just goes to show you how ridiculous the medical system is in this country. If you can go to a clinic in a store to get antibiotics, and I read something about online doctors being able to diagnose things like pink eye and send out Rx's...times they are a changin'! In April in California you'll be able to get birth control over the counter without a Doctor's visit. Oregon already does it. It's about time health care got a bit easier for people. I hope you feel better soon!